One of the favourite things to do as an iPhone owner is to play around with different iPhone cases. Whether they’re silicone based or hard plastic, bumpers, leather cases, it doesn’t matter. Most of us can definitely say that we have more than one. I think I have about 7 at the moment, always on the hunt to find yet another cute but also practical, protective case. One of my new go-tos is the range by Iconemesis. 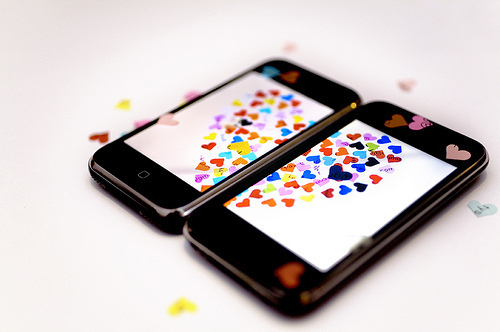 The artsy, funky, edgy and whimsical/romantic designs at Iconemesis are created by numerous artists and available for both iPhone 3G/S and iPhone 4/S (they’re currently working on getting ready for iPhone 5). They’re definitely one of a kind and super cute. And you can win it in my iPhone case giveaway! I really adore this FiFi Cupcake case *, but I always have one issue with hardcases and that is that they don’t over the edges of the phone’s screen, like say a silicone / bumper case would. My ultimate favourite type of case is a leather case that has a cover so that the screen is also protected plus I can carry my business cards, bank cards, train and tube tickets around with me! BUT IT’S JUST SO BULKY!